Krishnashtami was celebrated with much fanfare by the pre-primary students. Parents of pre-primary dressed up the kids in beautiful costumes and had a great time watching their wards performances on Stage. 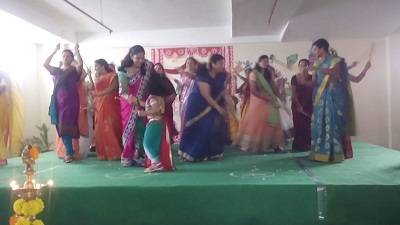 Teachers day was celebrated with immense fervour and both students and teachers had fun. Ninth class students took the initiative and organized the program for the teachers.